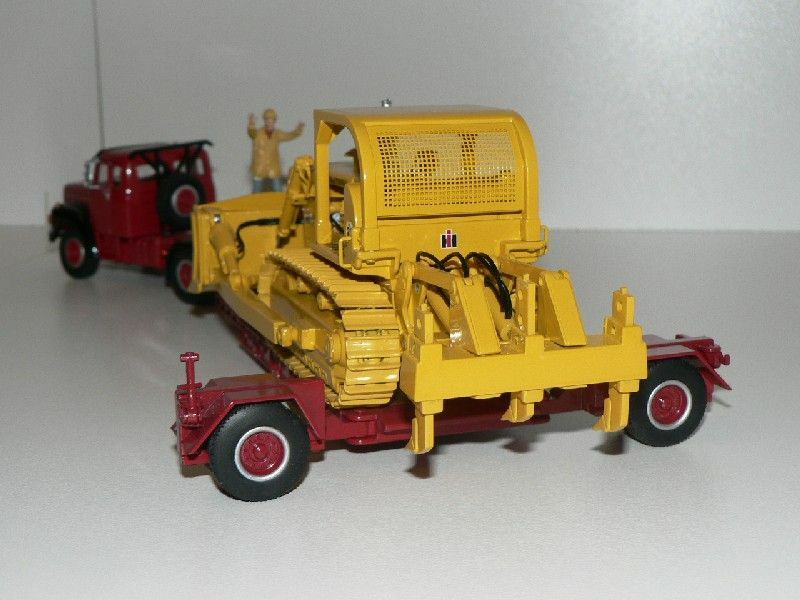 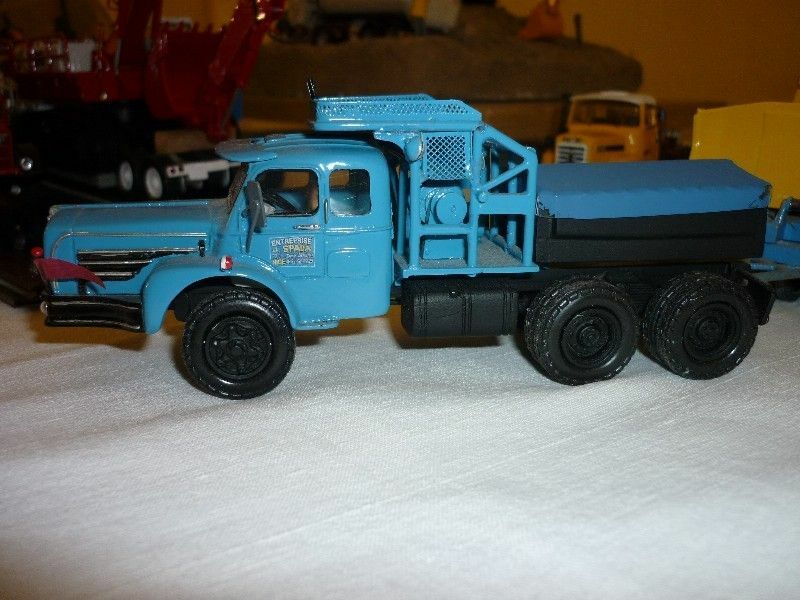 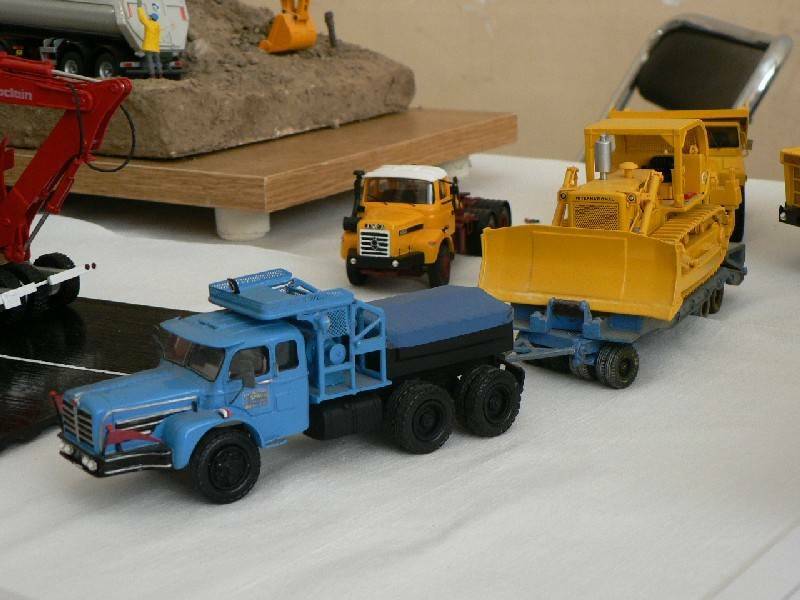 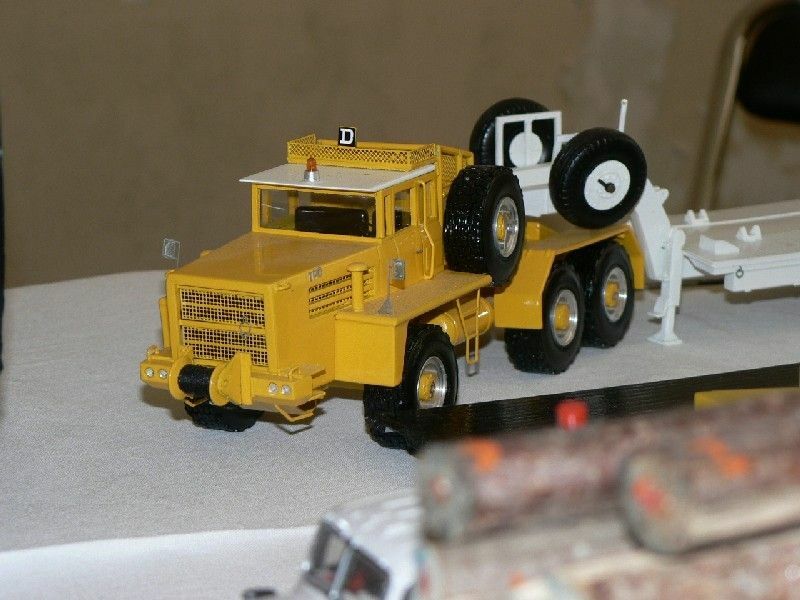 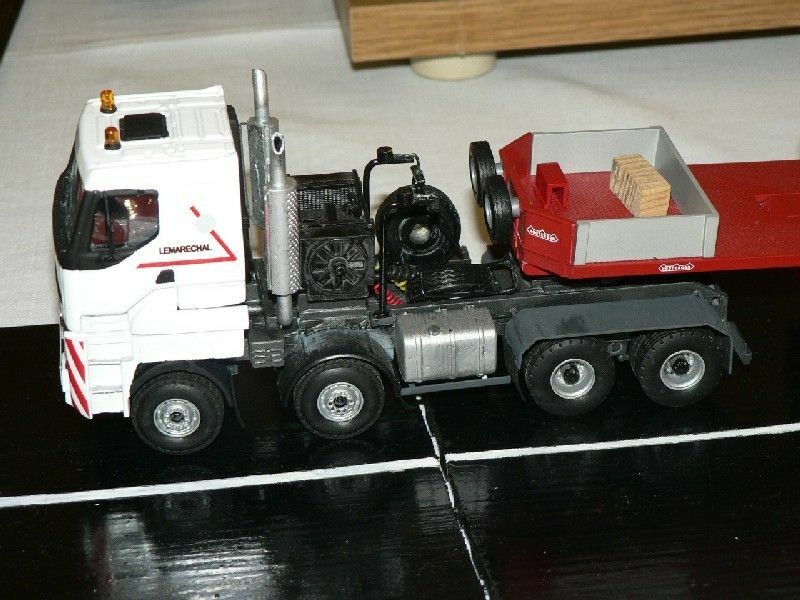 The Berliet GXO 6x6/2 above was only built with an oilfield body and never existed in that tractor version, other than in Berliet project drawings. 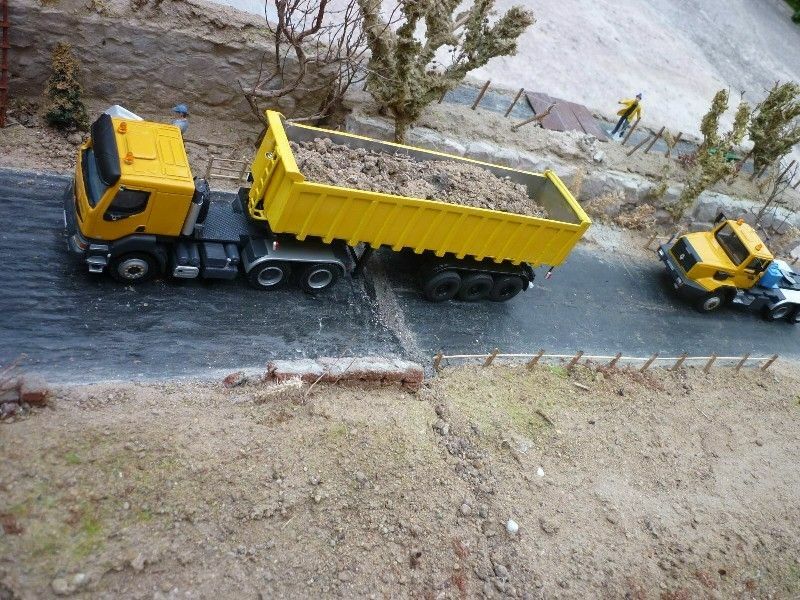 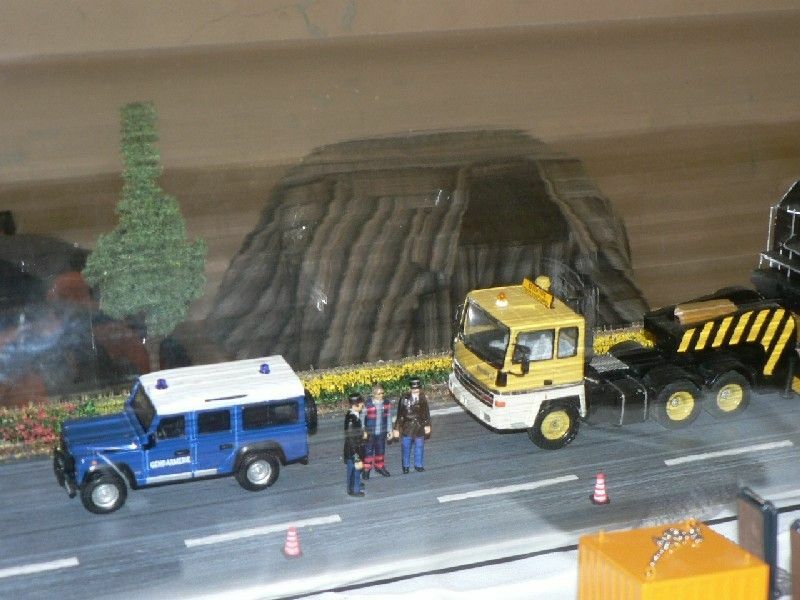 It has nevertheless been modelled by Miniatures du Faubourg in a 1:50 scale. 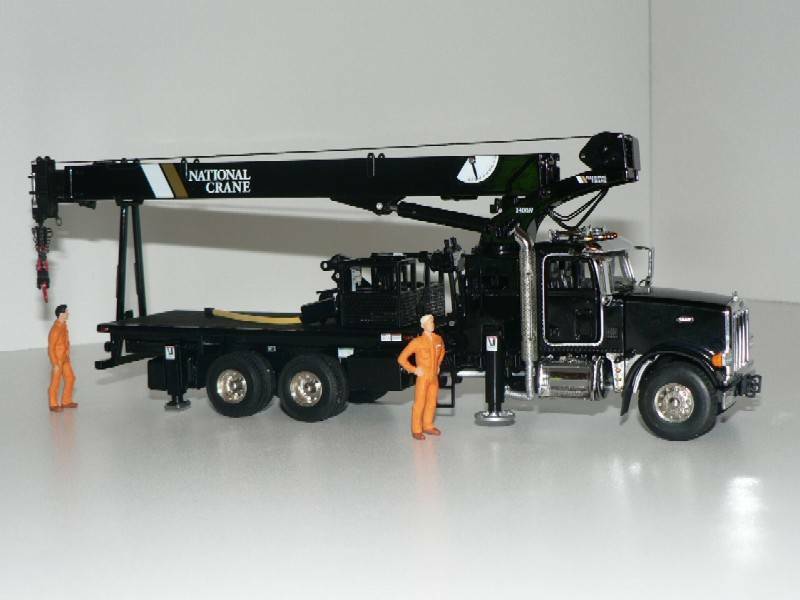 As far as truck loading cranes are concerned, North American and European approaches are drastically different. 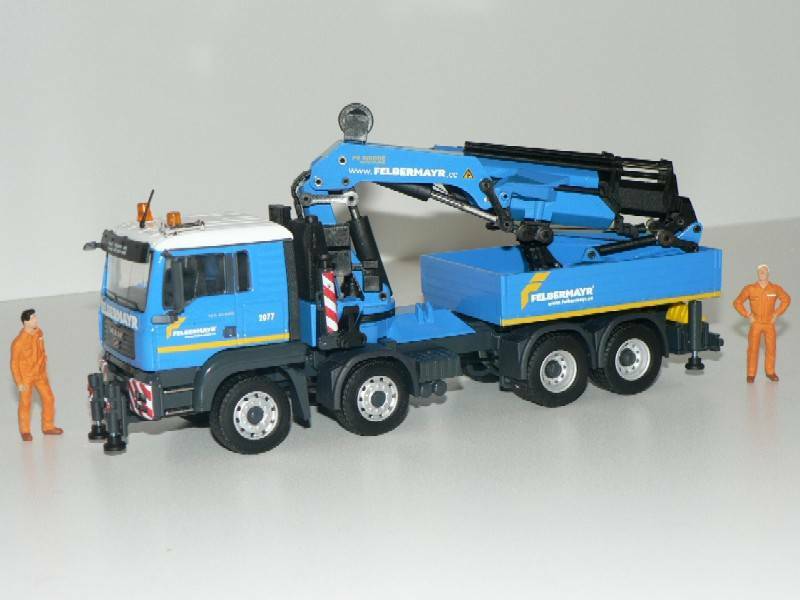 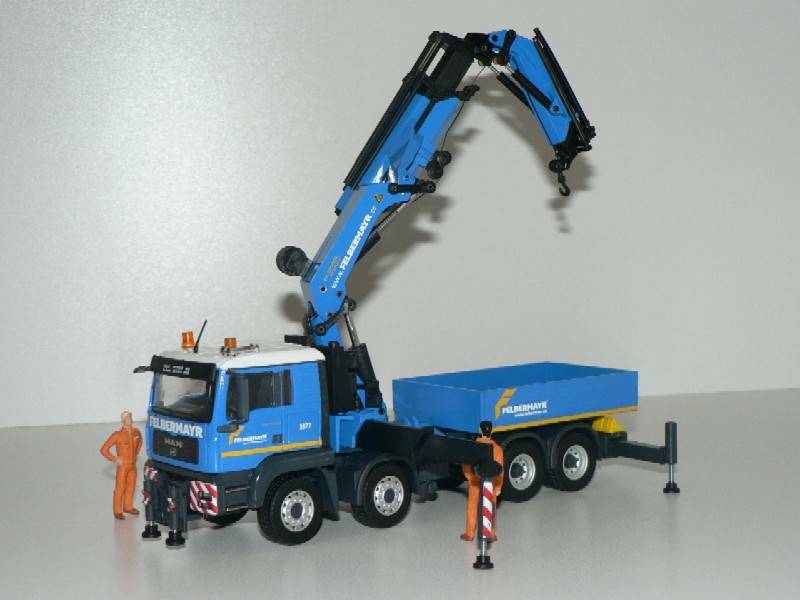 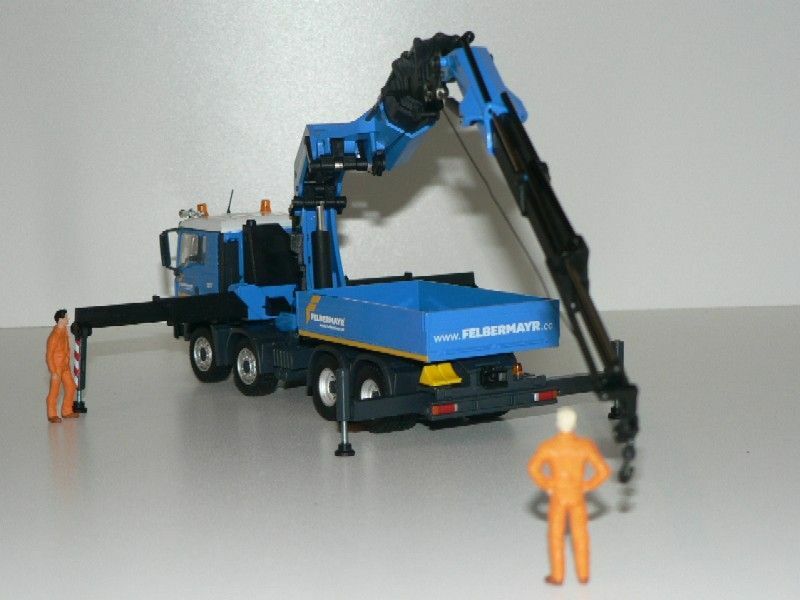 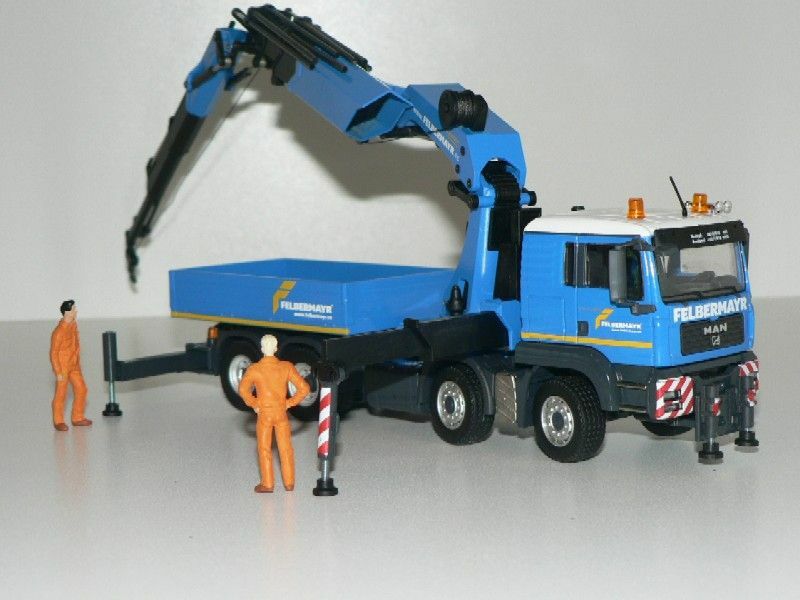 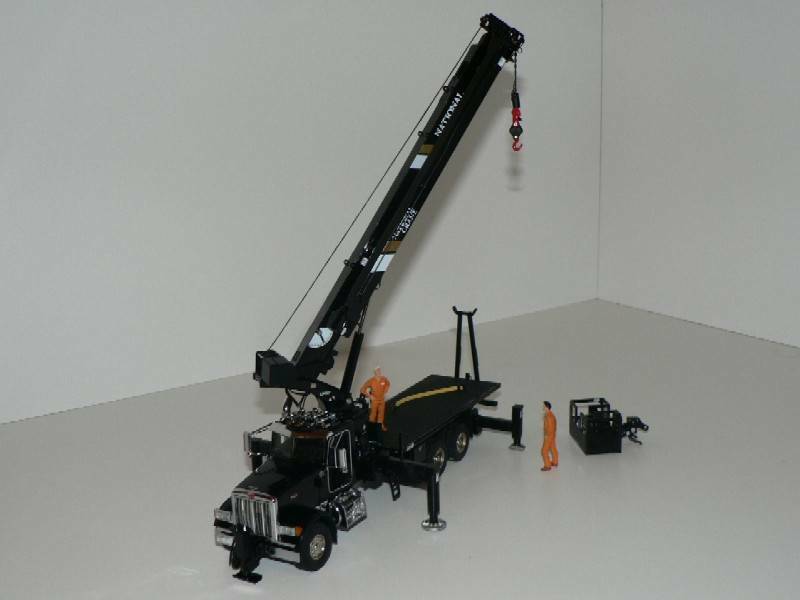 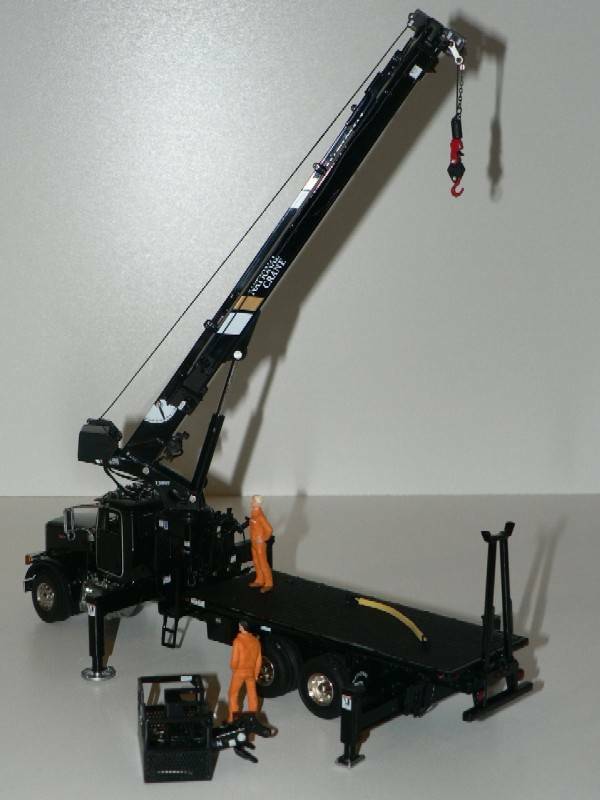 It should be noted that both cranes have a broadly equivalent capacity (40.8Tm and 62.5Tm respectively), with 27.2 tonnes @ 1.5 metres for the National, while the slightly more powerful Palfinger can lift 25 tonnes at 2.5 metres. 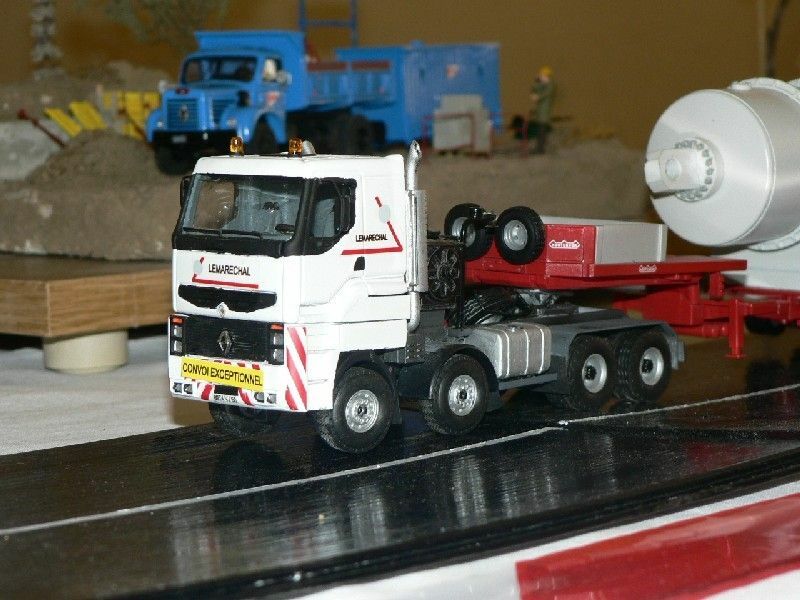 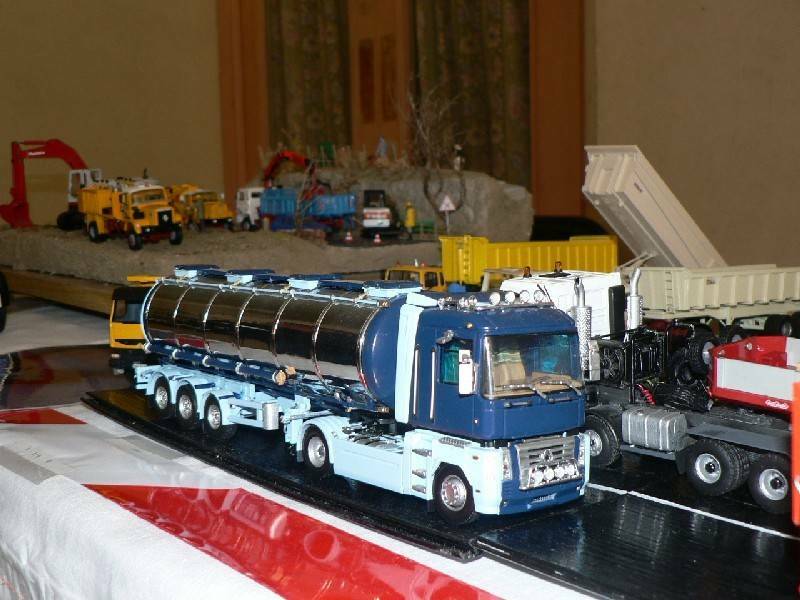 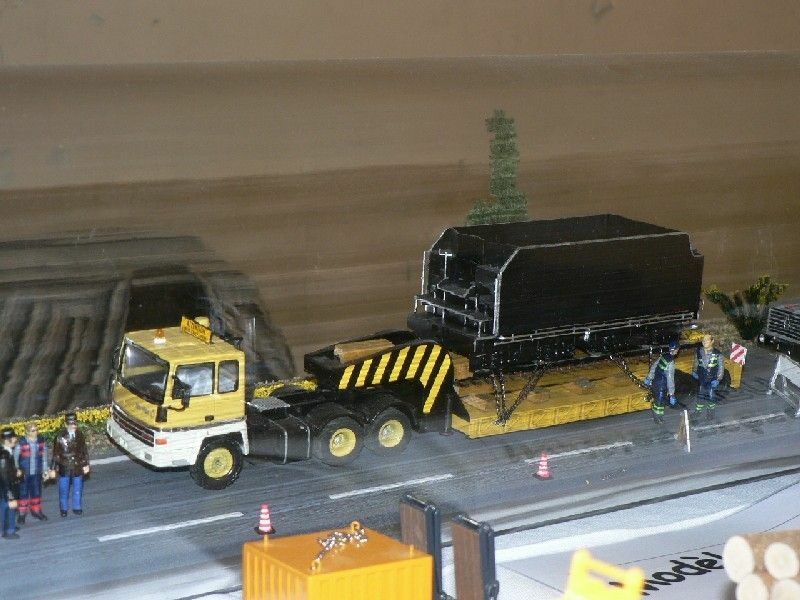 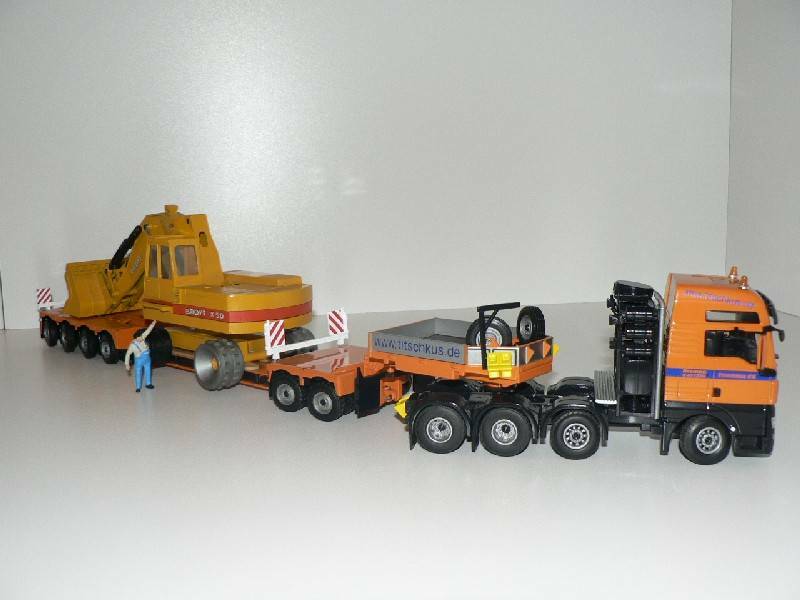 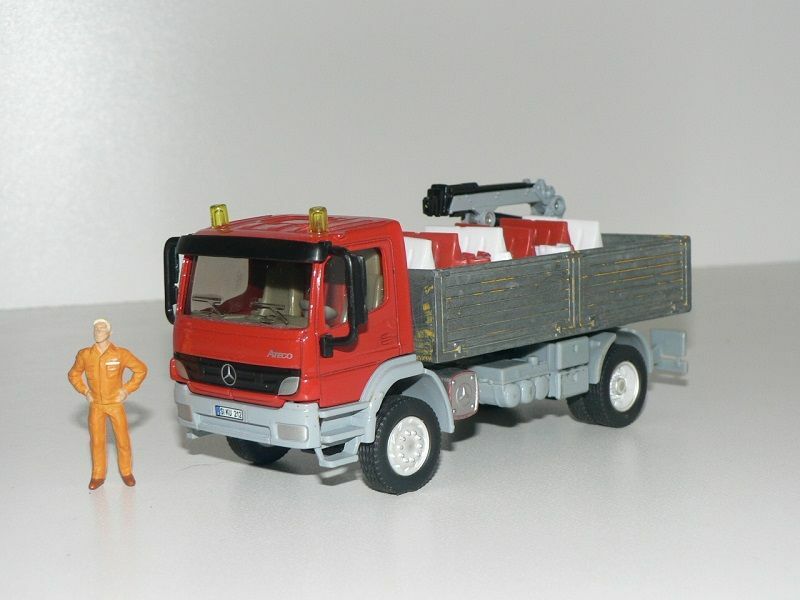 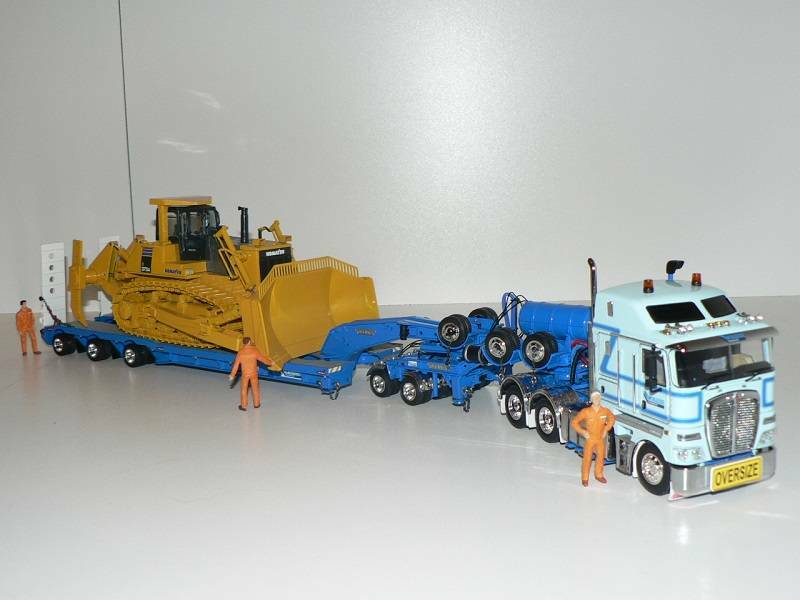 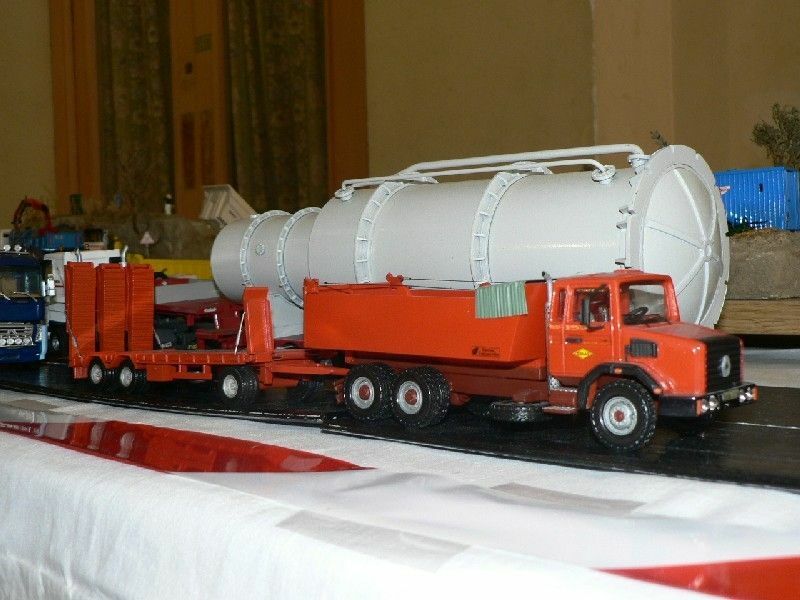 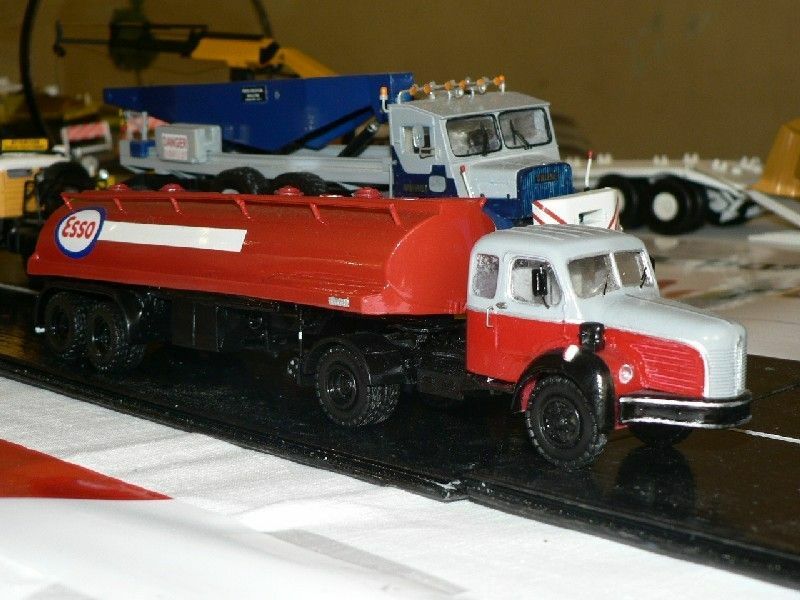 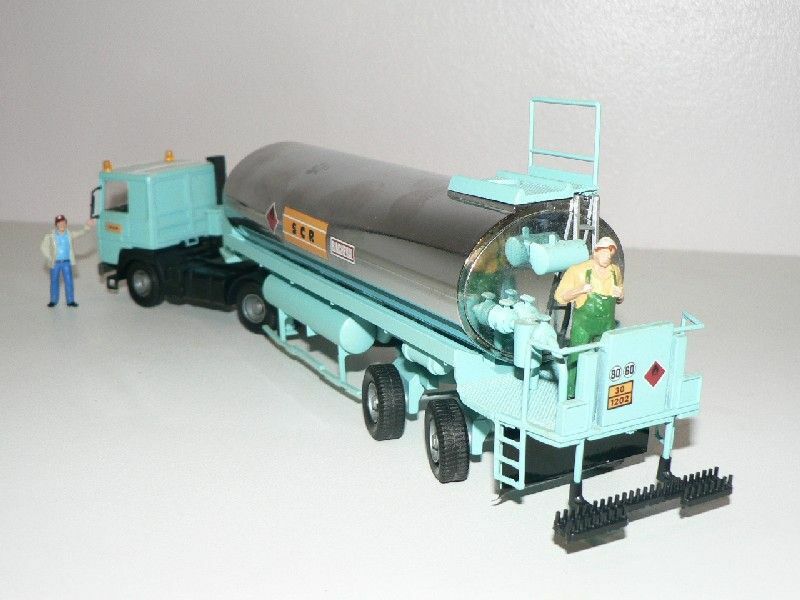 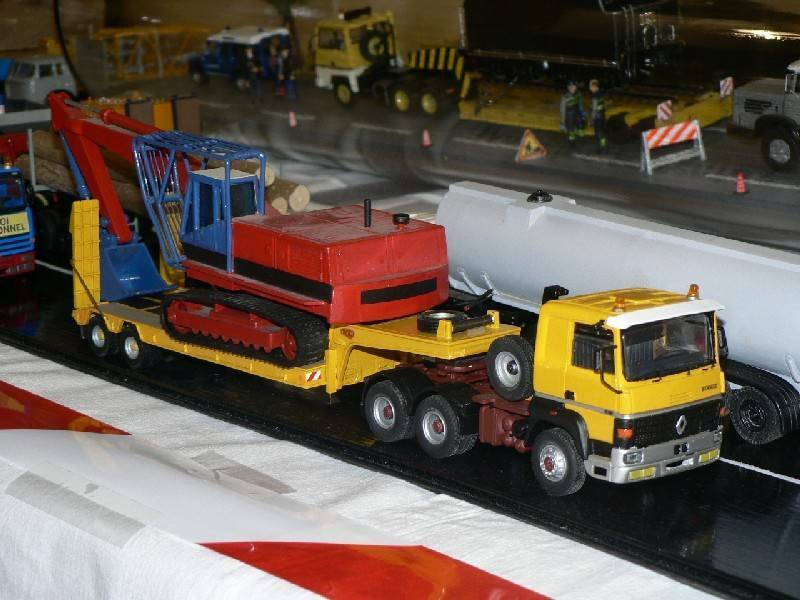 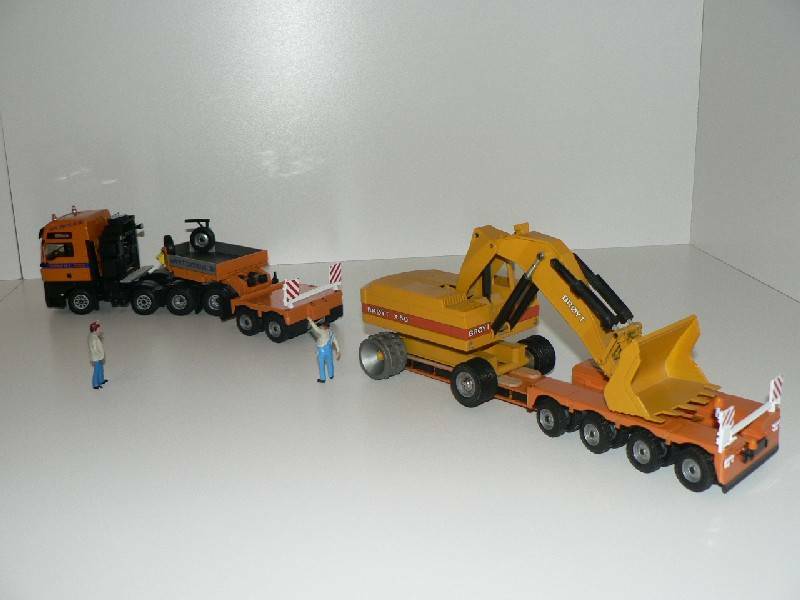 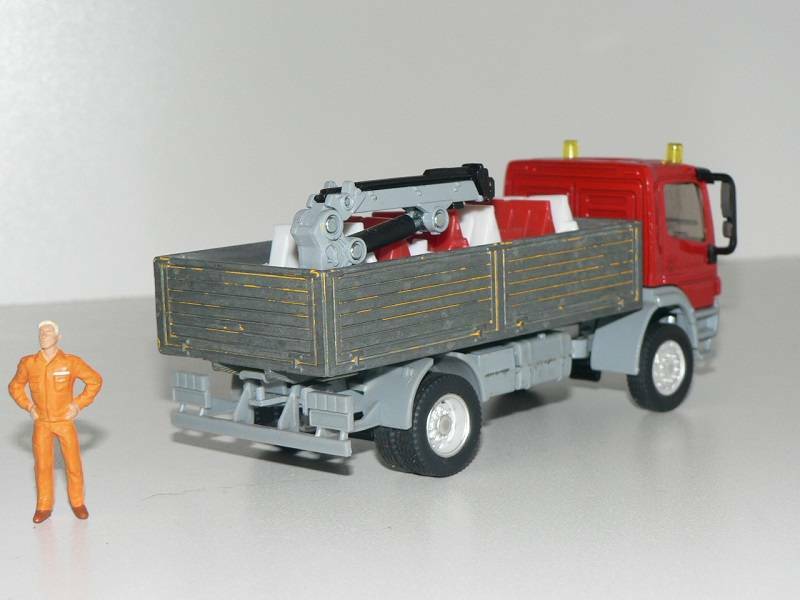 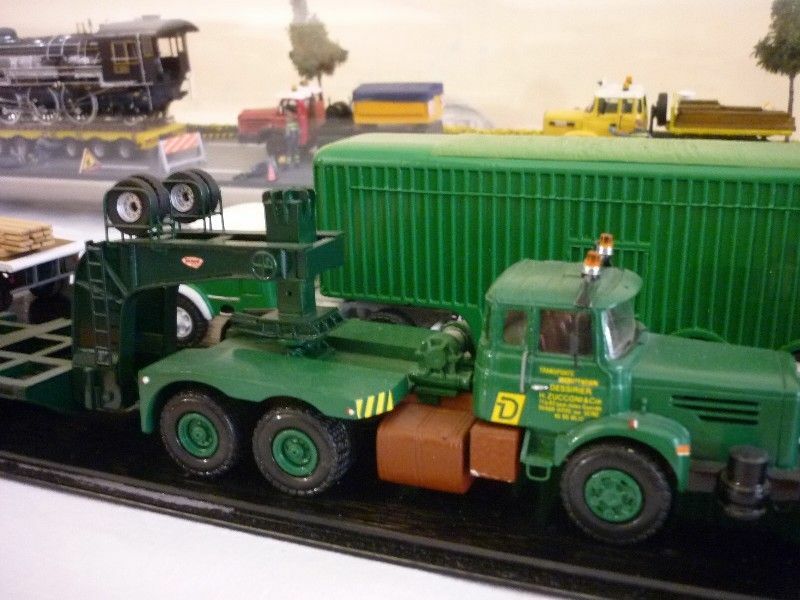 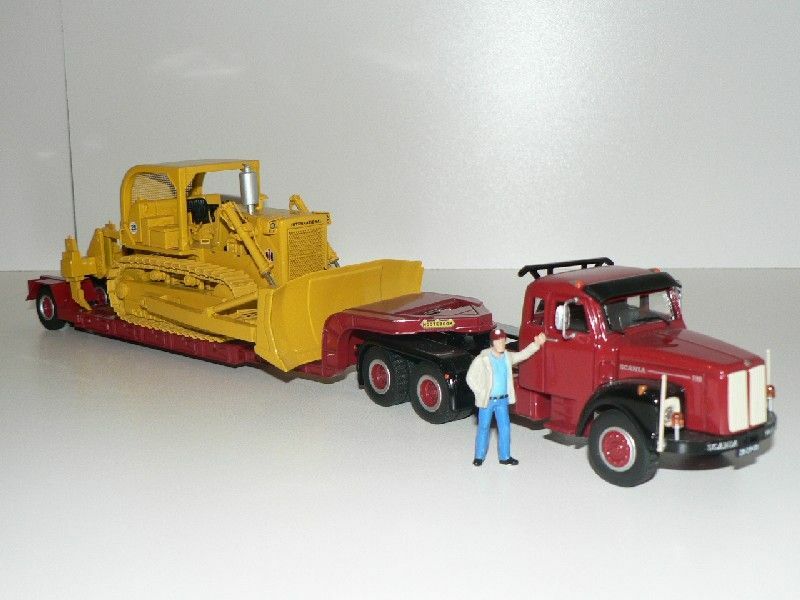 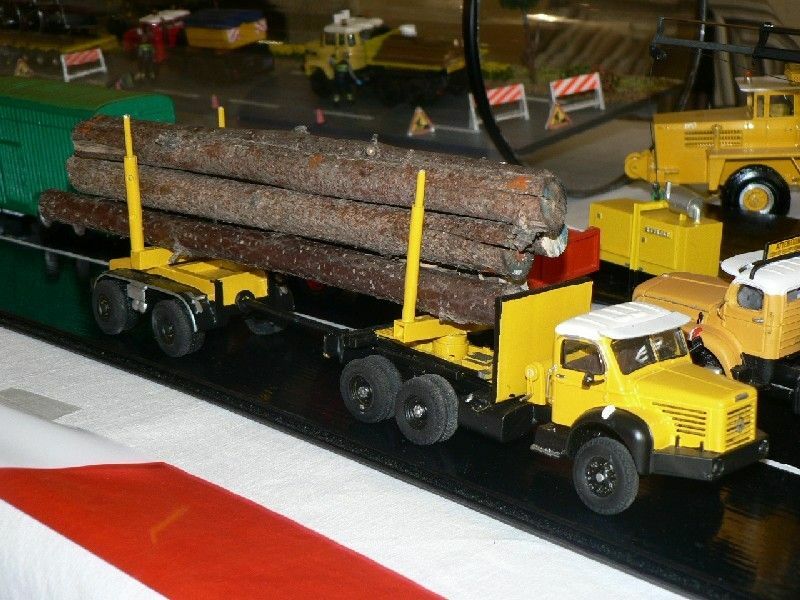 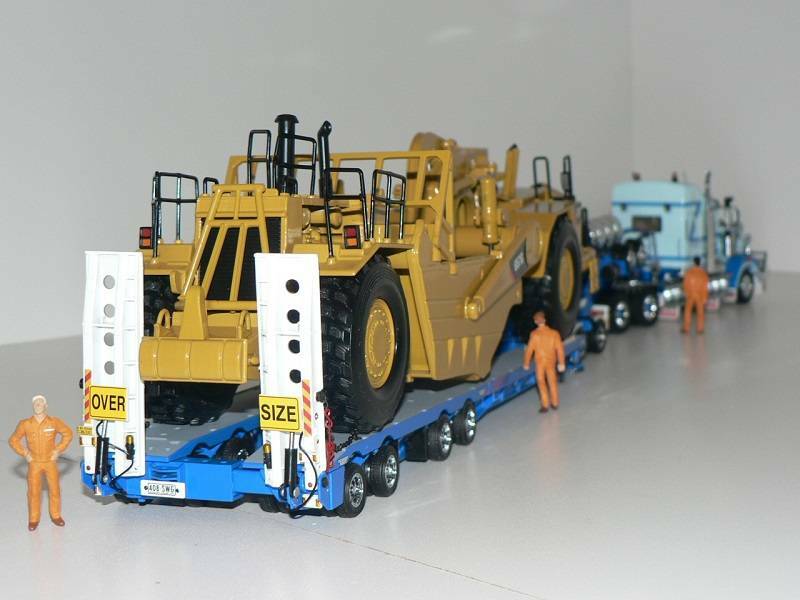 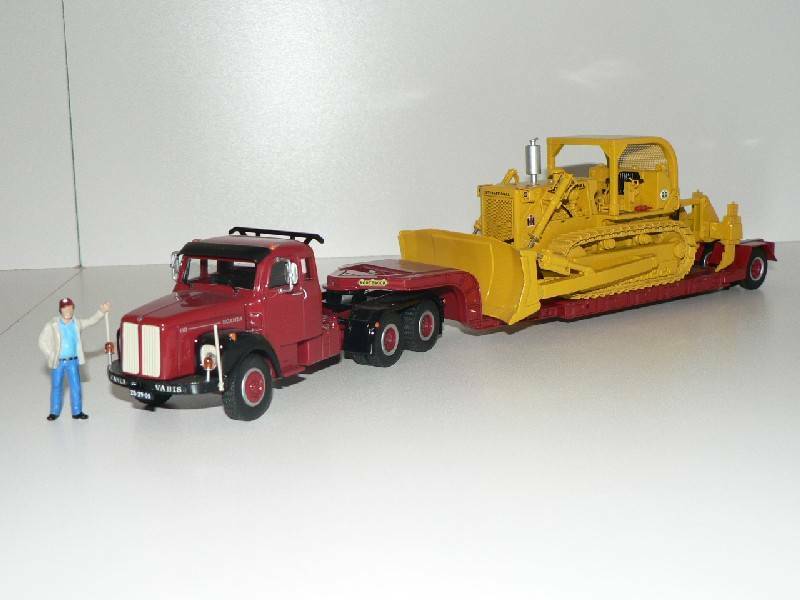 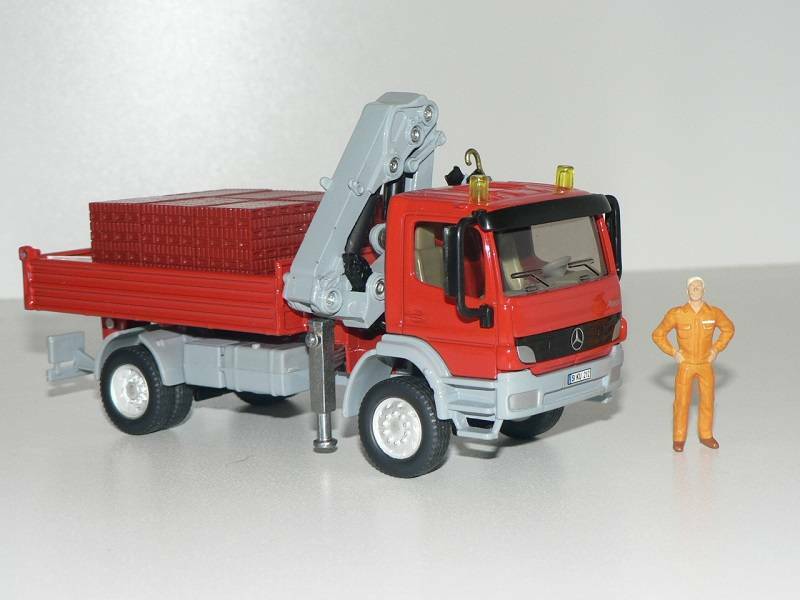 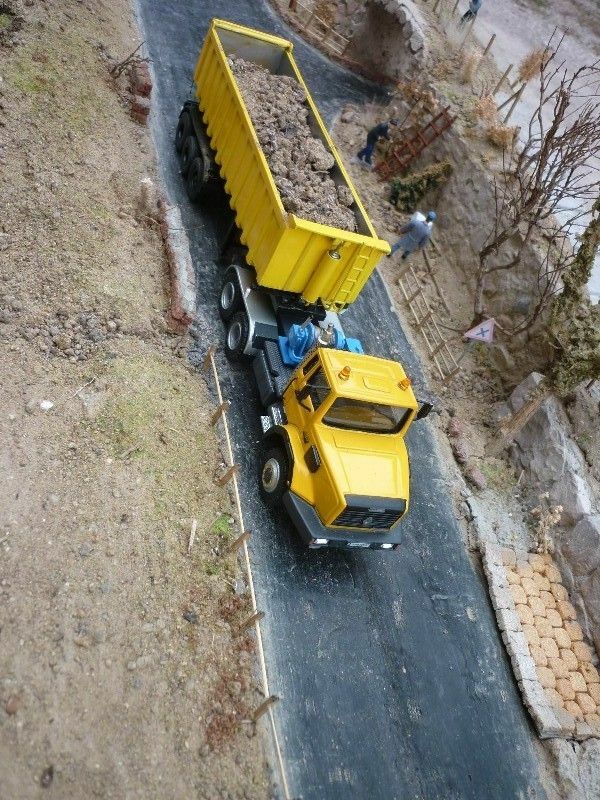 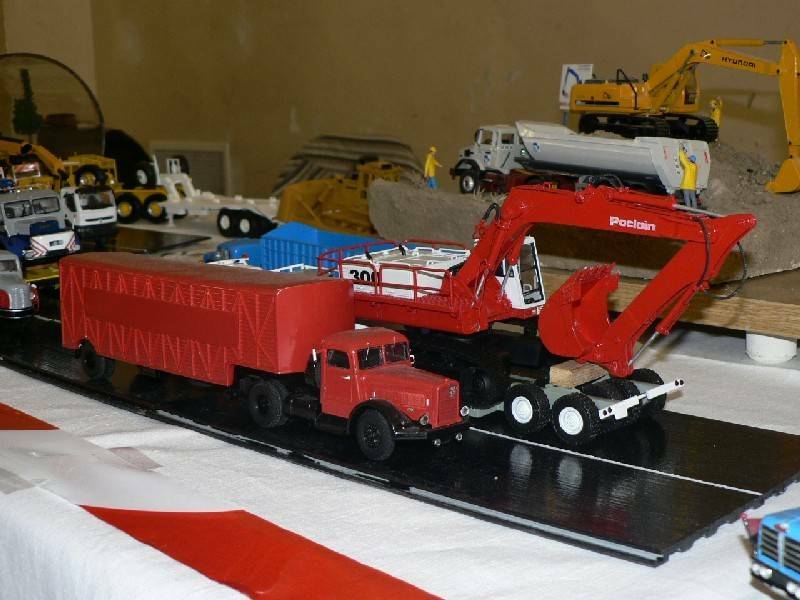 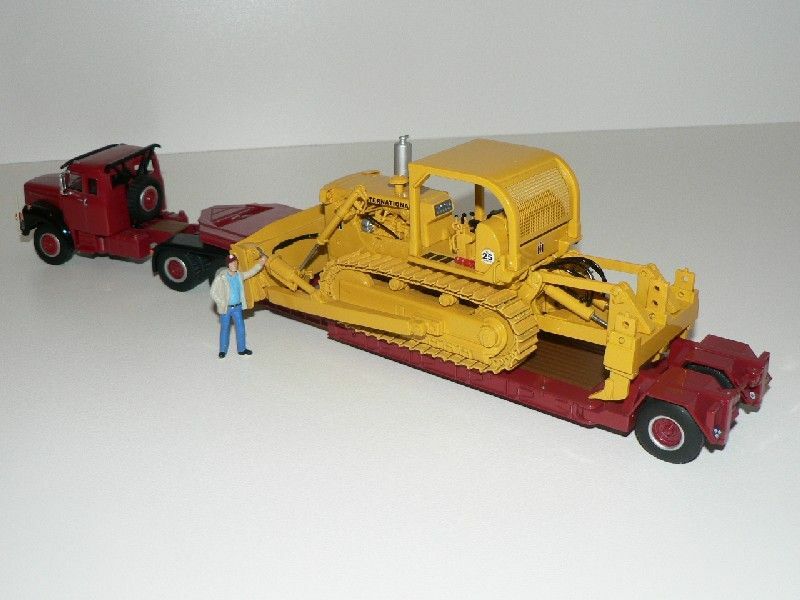 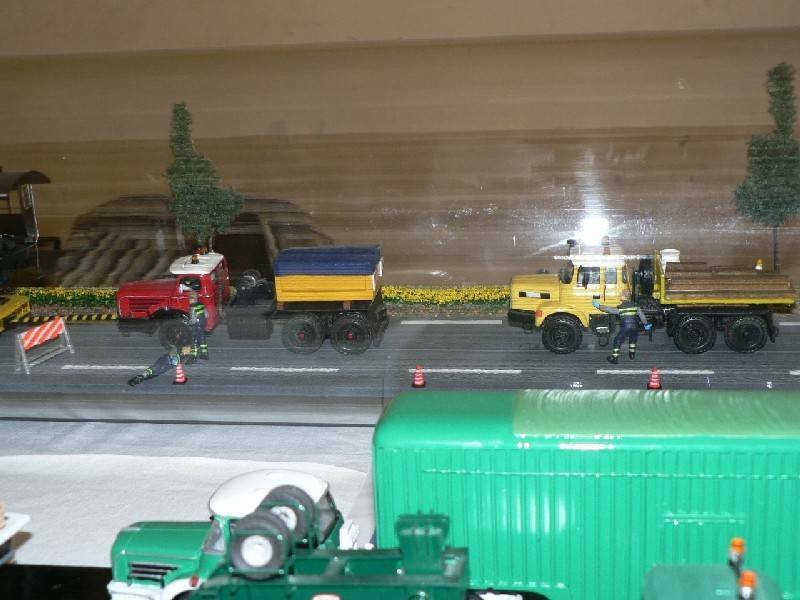 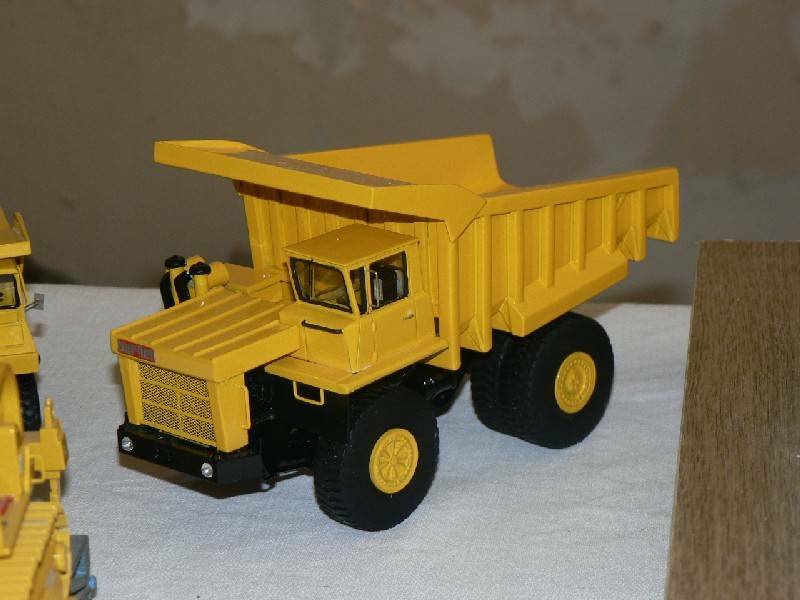 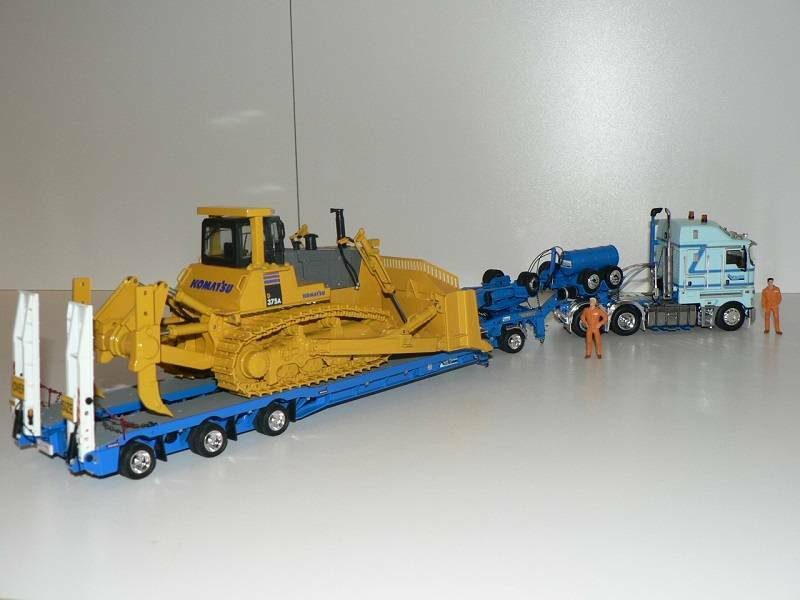 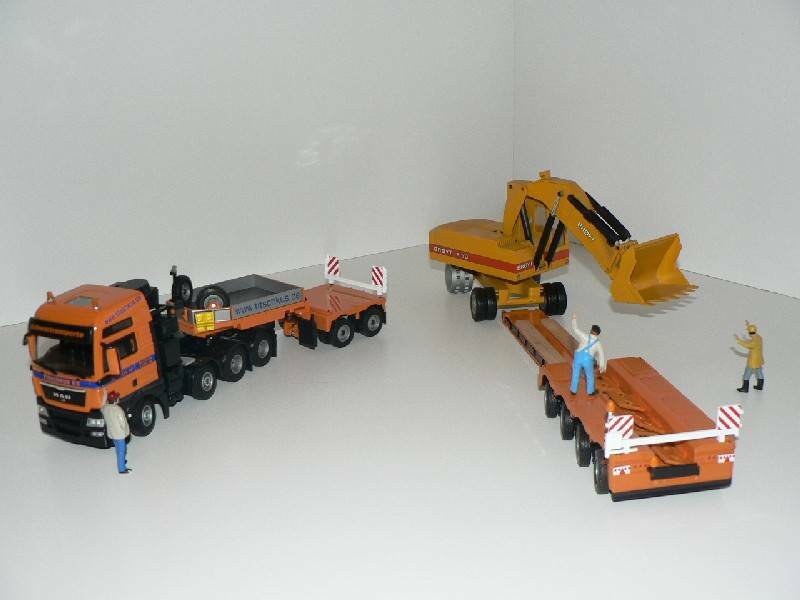 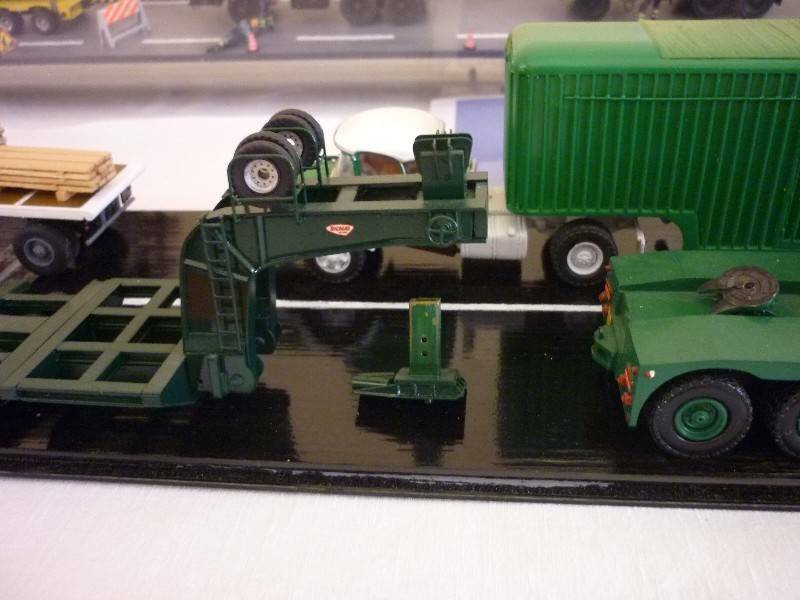 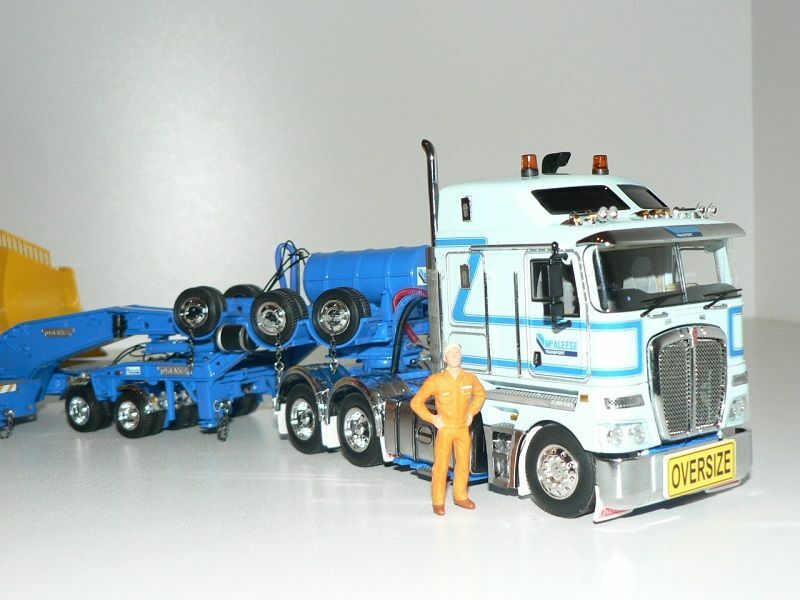 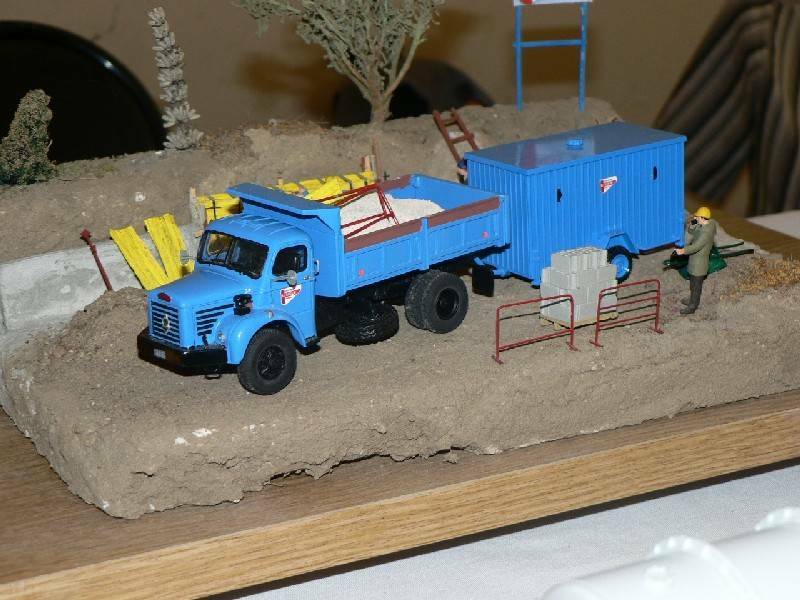 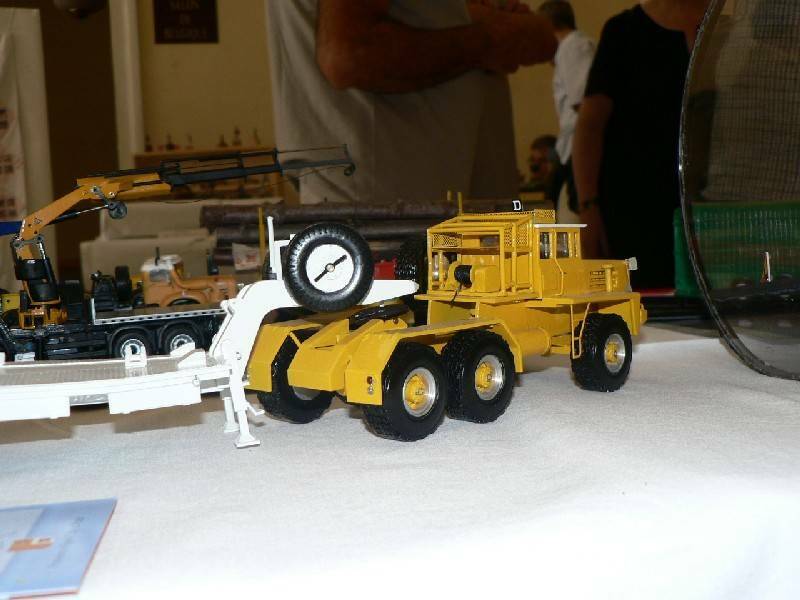 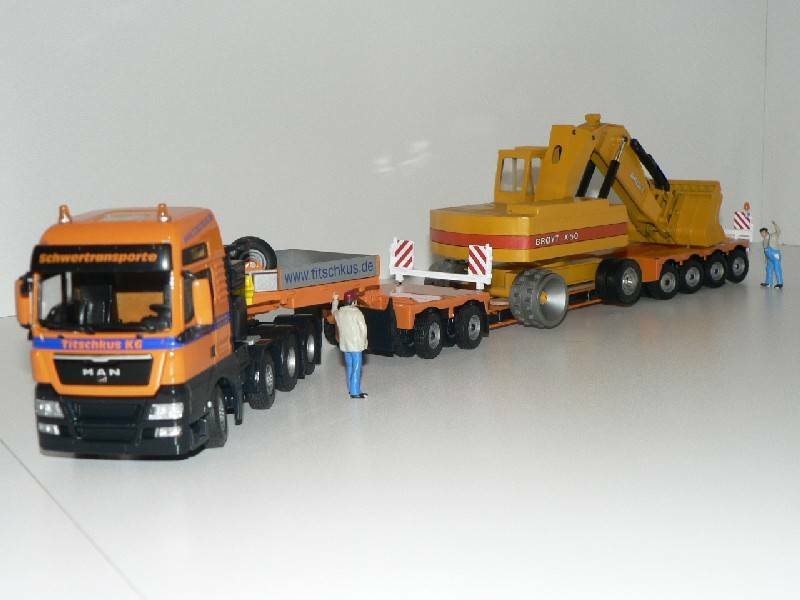 While the tanker semi-trailer has been correctly modelled in a 1:50 scale, strangely enough CEJ selected the 1:55 scale for its tractor!!! 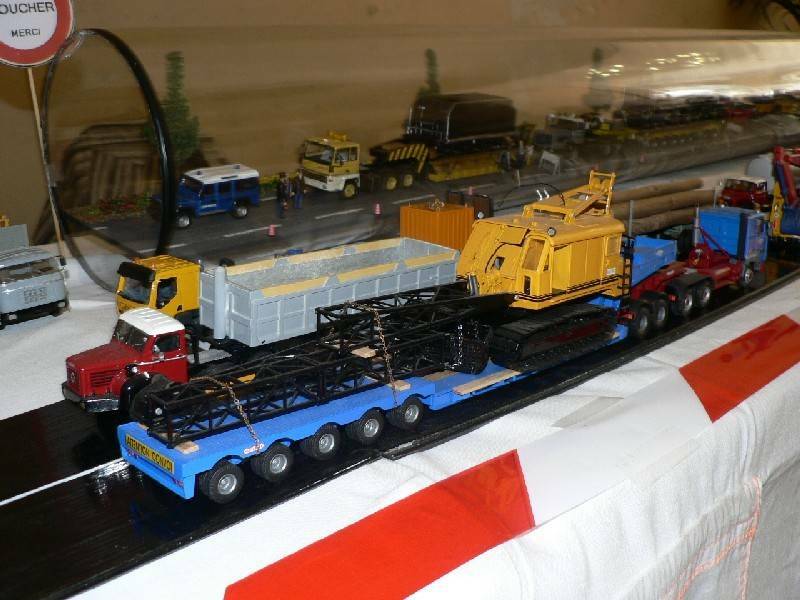 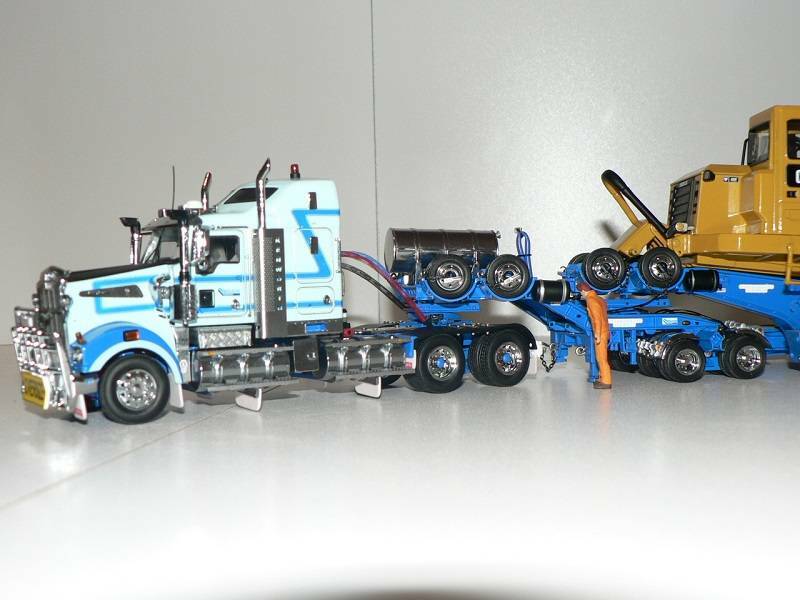 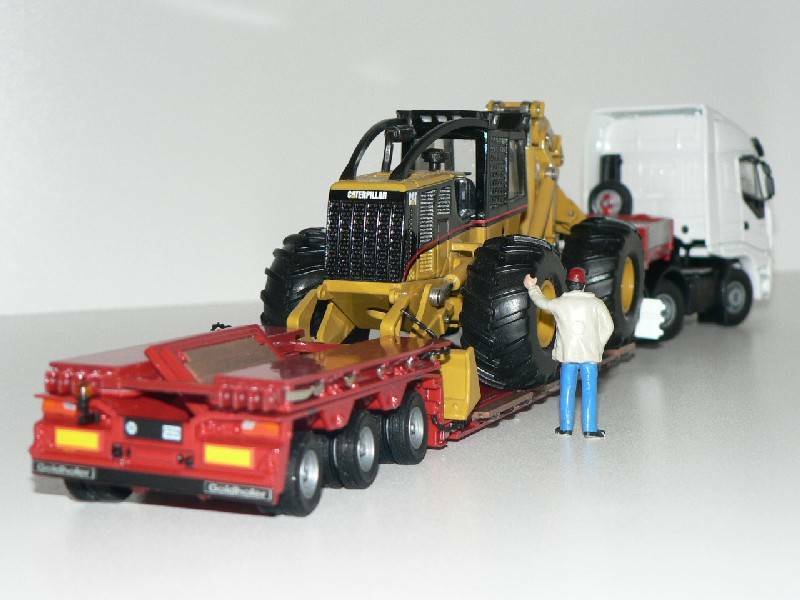 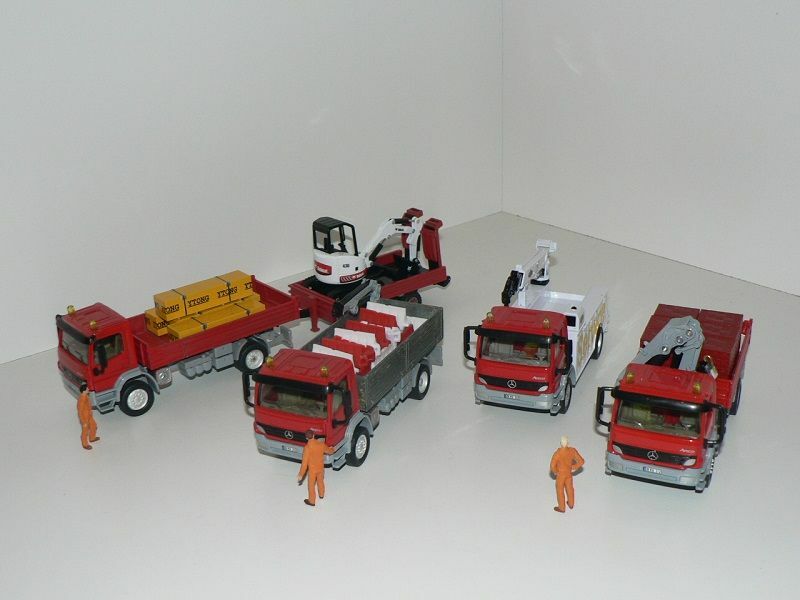 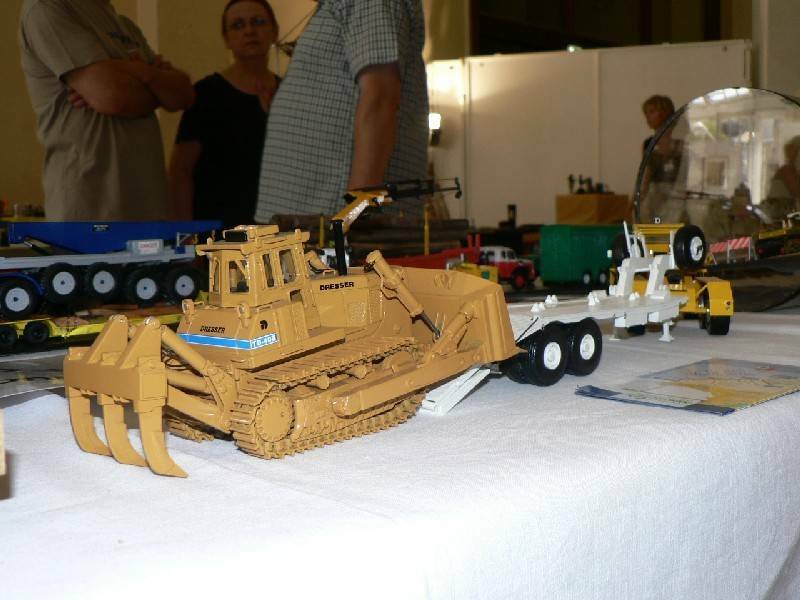 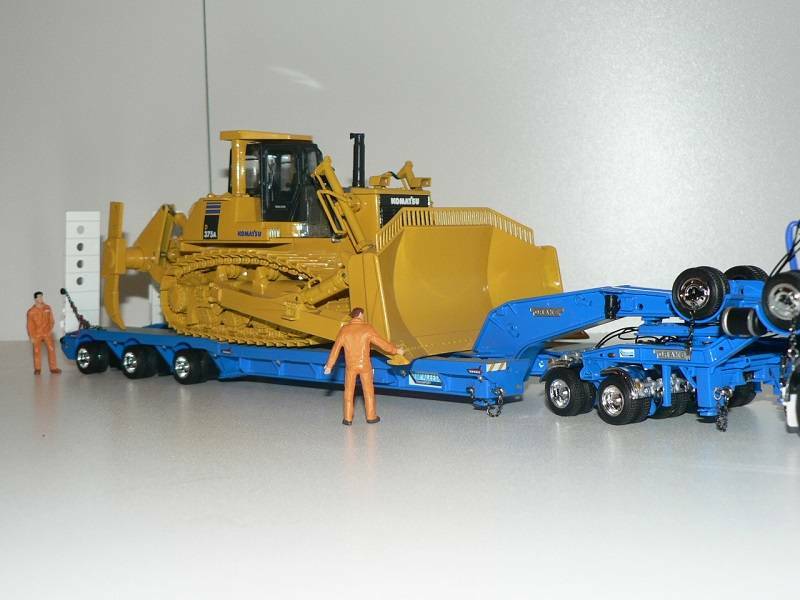 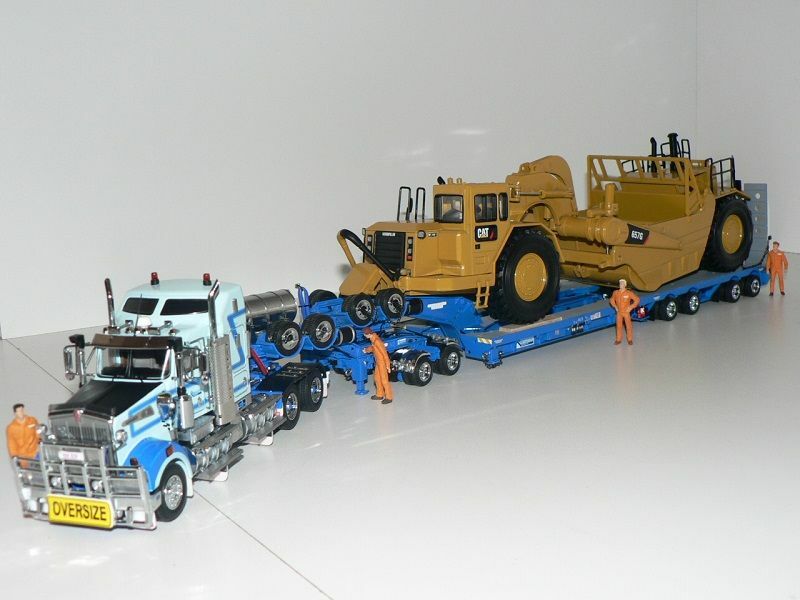 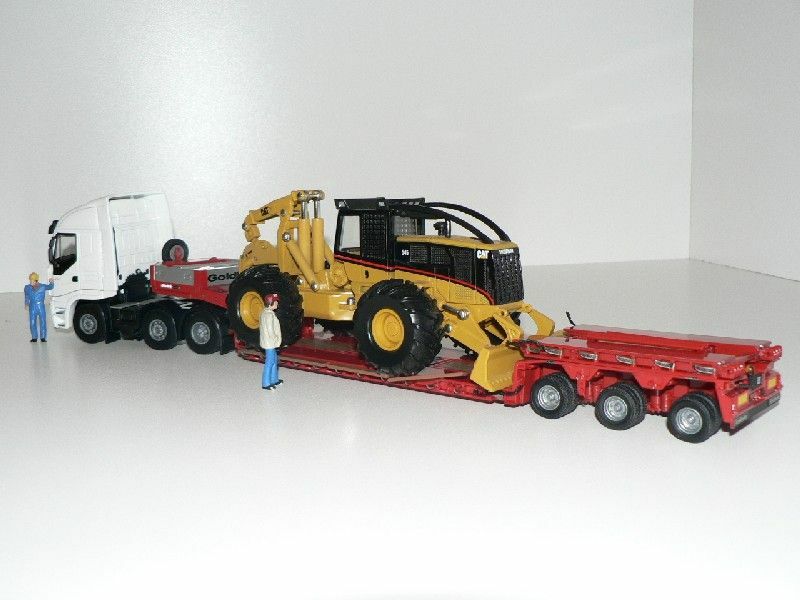 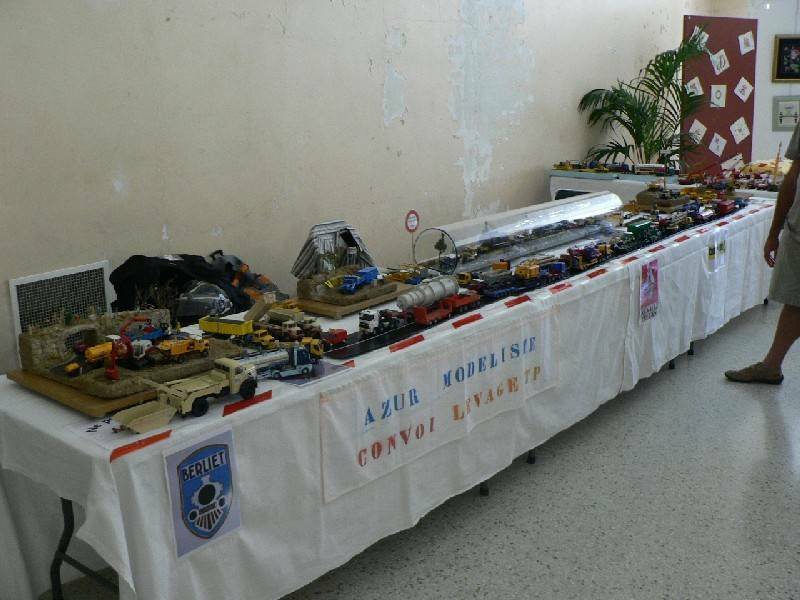 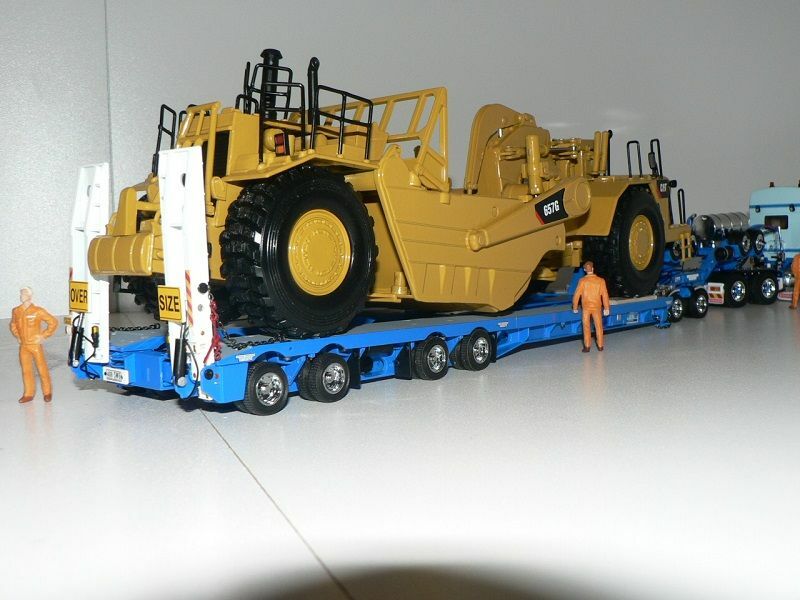 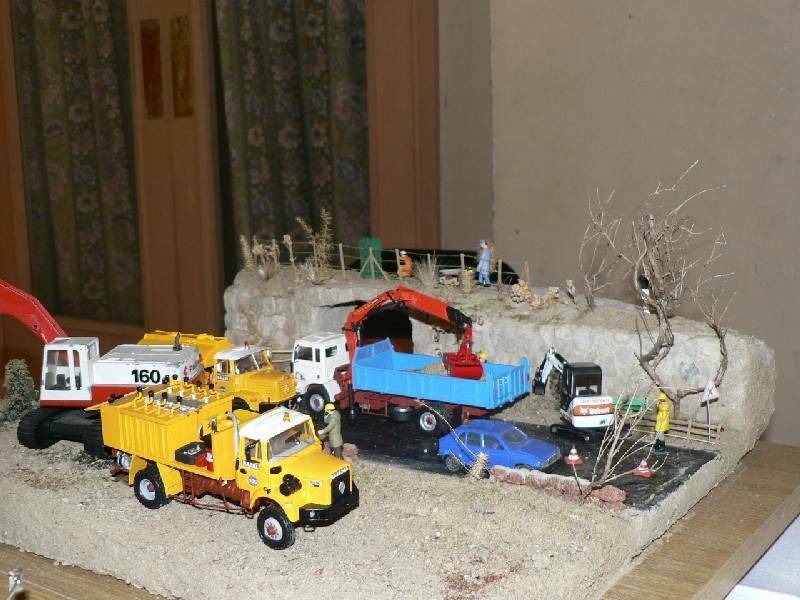 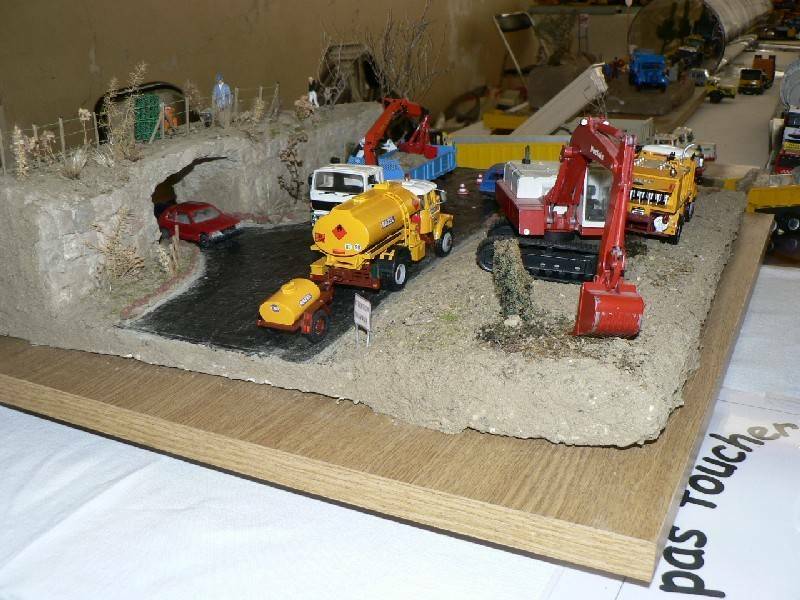 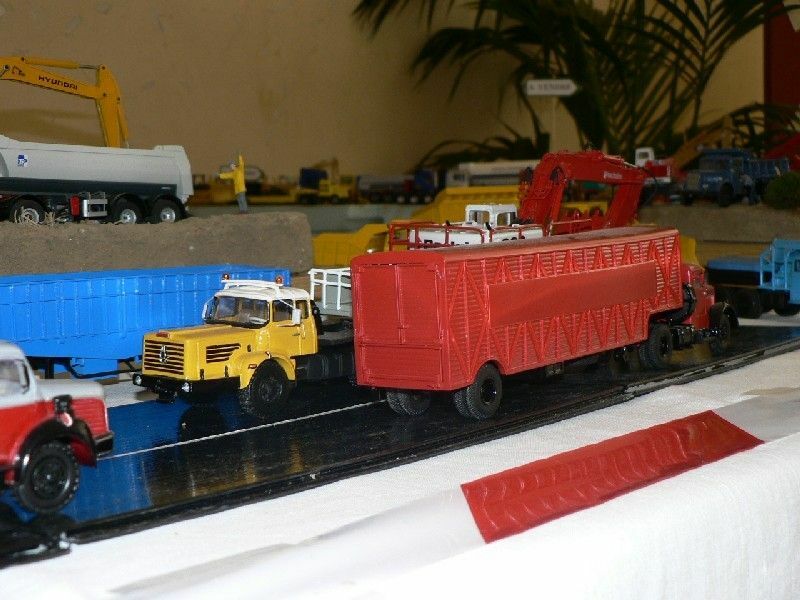 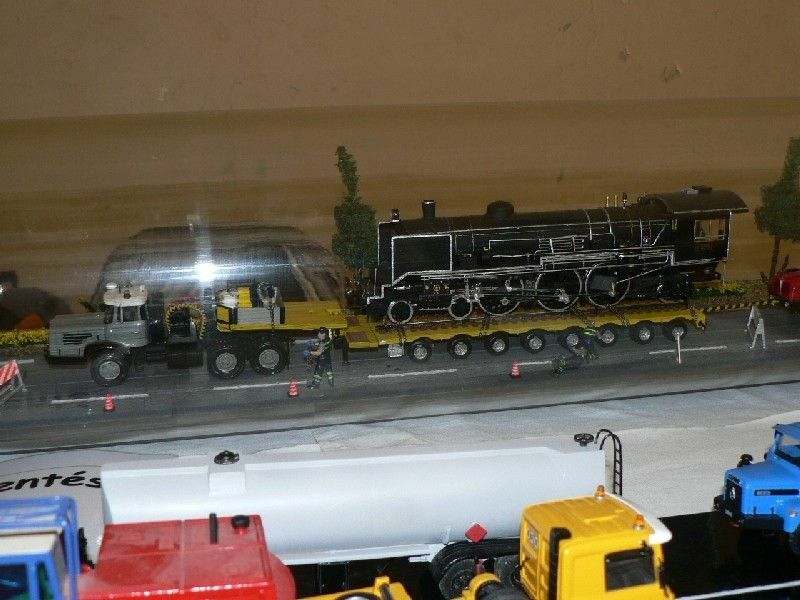 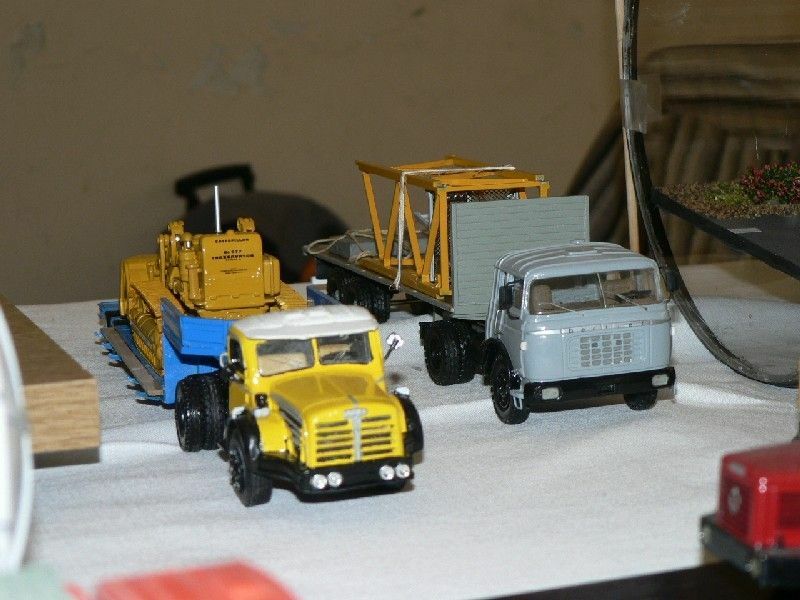 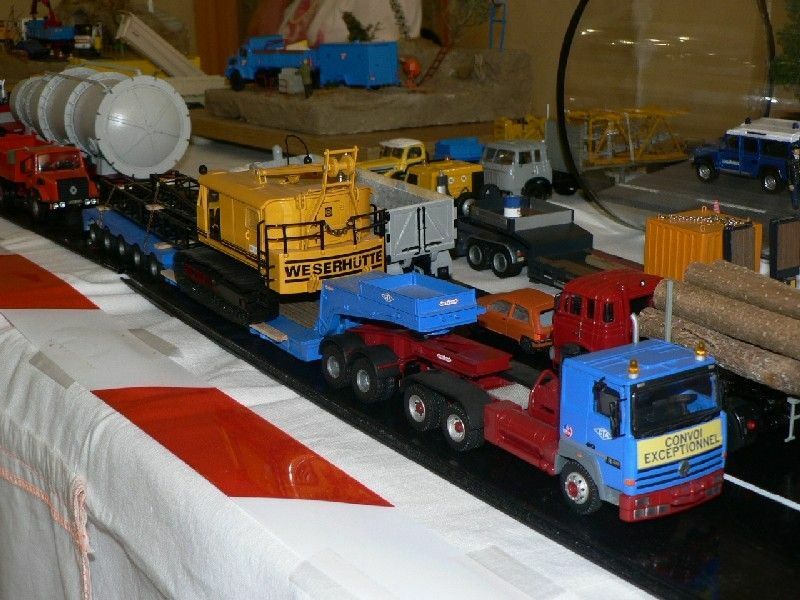 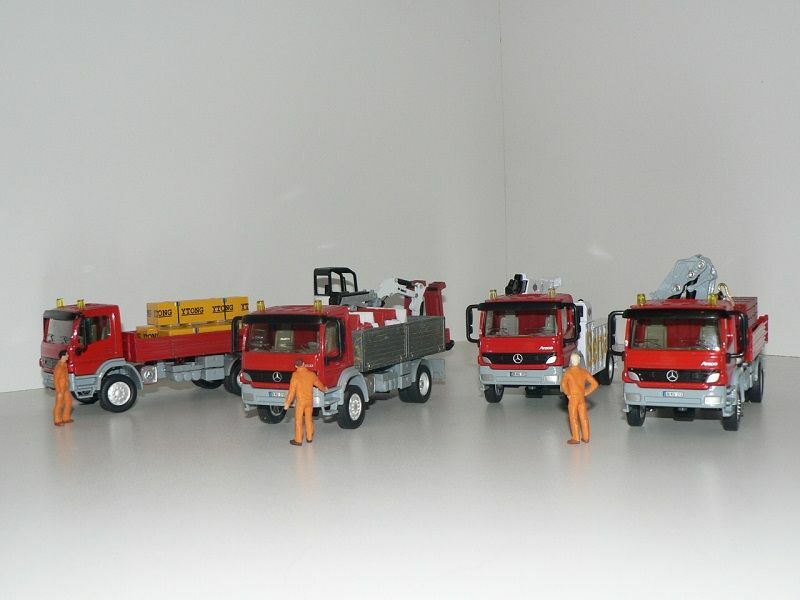 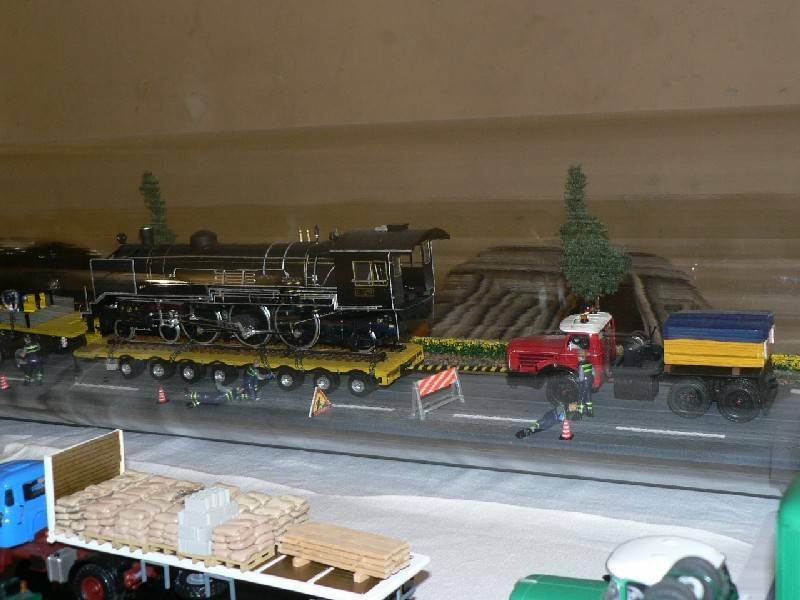 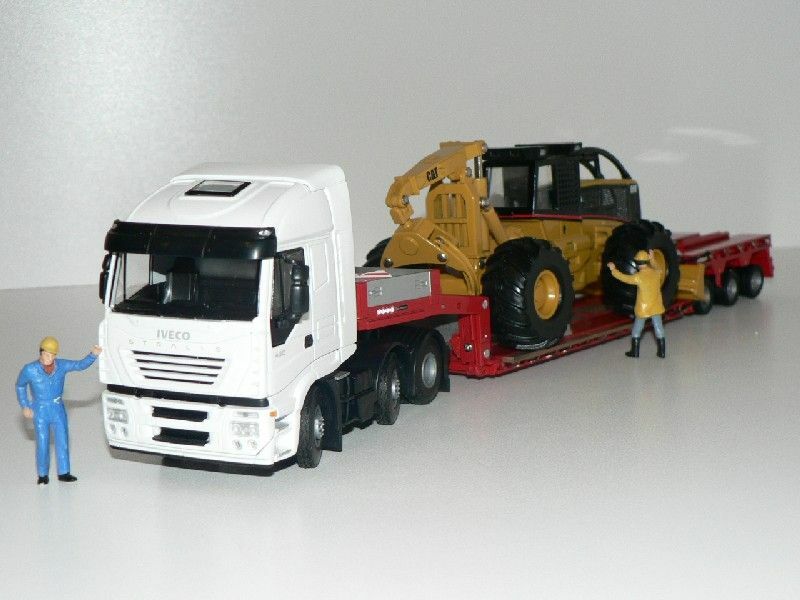 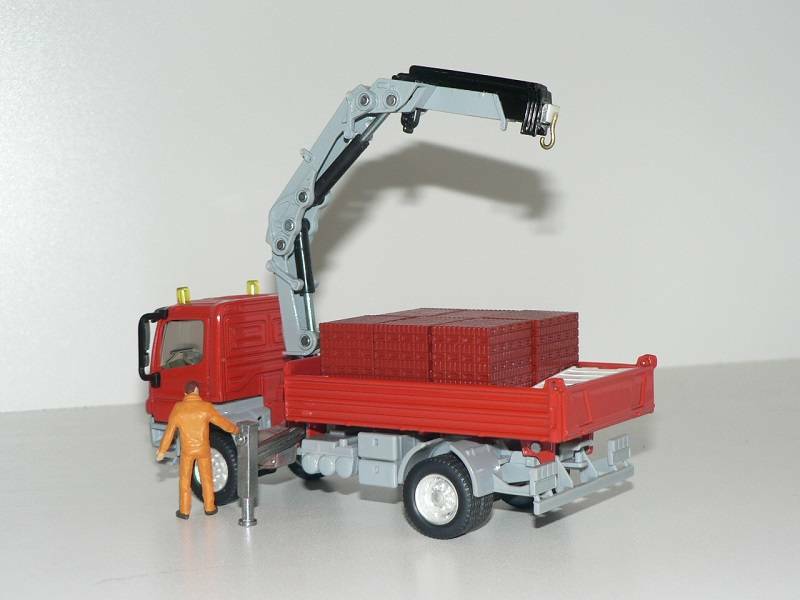 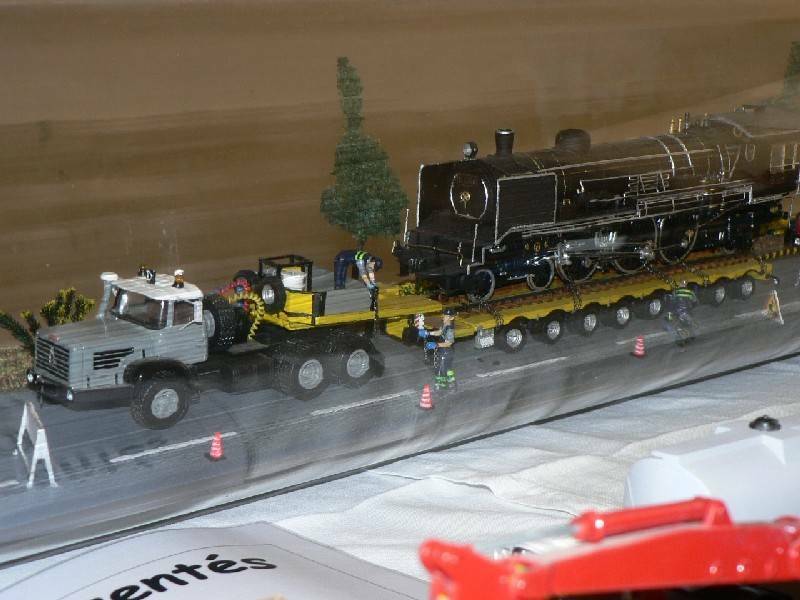 The semi-trailer is homemade by Jean-Francois, while both tractors are MiniCams kits.